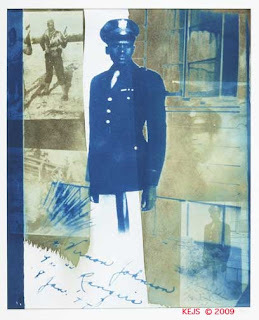 For Memorial Day I'm posting this Cyanotype and van Dyke collage of my father's WW II photos from training and the Italian Campaign. And remember what Memorial Day really is about; more than just BBQ! Continuing with the Rangefinder Family of cameras, Let's talk about Holga and Lomo. To the right, one of my favorite Holga images. This one has appeared in Juried shows. 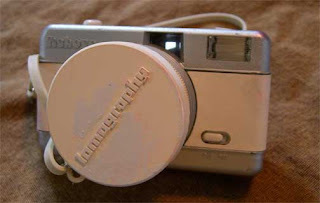 For more Plastic Cameras photos check out the Krappy Kamera Korner. 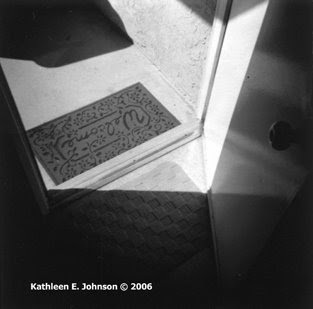 I was introduced to the Holga during my photo studies in Monterey, California. 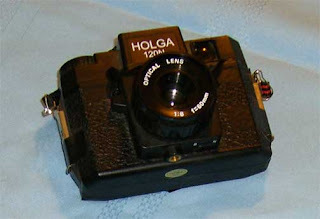 The Holga is a medium format plastic camera. using an insert it can be adjusted to take 15-6X4.5 images or 12-6X6images. There is also now a 35mm version. Holgas are FUN! So get one and try it out! 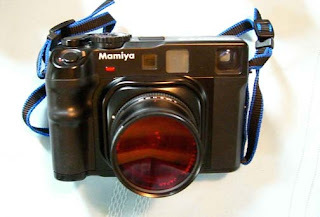 Another Plastic Camera Friend is the Lomo Fisheye. There is an entire on-line community dedicated to this camera. Check out Lomography for a test ride. 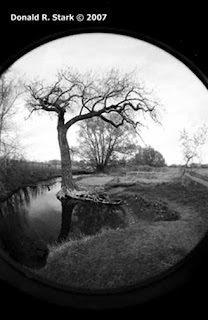 And take a look at Donald's Lomo Fisheye pic. More Also at our Krappy Kamera Korner. The Visual Science Lab: Everything old is new again.....Photography 180. So why am I doing this? I love film cameras. That does not mean that I hate digital. I just prefer working in a darkroom to sitting at a computer, especially since I developed a computer related ergonomic problem that almost left me with a paralyzed right hand. I recovered, and I still use a computer for work. But why spend my leisure time tied to a computer also? Once a week or so I will introduce you to a new film camera friend of mine. Currently I spend most of my time hiking with the Mamiya 6X6, but many of my best photos were taken with my manual Minolta SRT-series, my Minolta X-700 (which I use for color), and more recently with my Mamiya 645. I've benefited greatly from the 'sell-off' of professional grade equipment ending up with two Mamiya 645's and a Mamiya 6, plus the essential lenses. By the way, my family does have two digital cameras, mostly because my husband needs that instant feedback. Meet the Mamiya 6X6 medium format Rangefinder. This is my current favorite for day hikes. I have 50mm and 150mm lenses and a sturdy monopod to round out my equipment for hiking. 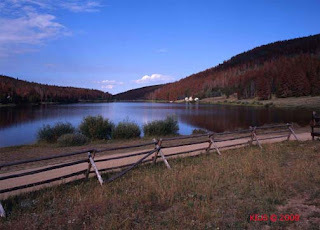 To the left is a photograph made with the Mamiya 6 at The Colorado State Forest showing the devastating affects of the Pine Beetle. Yes the image has been cropped. Taken with Kodak GX Film, which is my favorite color transparency film. When they stop making it, I'll stop shooting color. I'm just not happy with the color balance of the Fuji transparency films.